Seattle Children’s Hospital Uncompensated Care Fund. Seattle Children’s Hospital provides exceptional medical care to children from around the world. Their uncompensated care fund gives financial support to families with children in medical crisis. They believe that every child deserves excellent medical care no matter the family’s financial situation. Contributing to this fund is our way of giving back to an organization that has been instrumental to our family. Since shortly after her birth, Seattle Children’s Hospital has played a pivotal role in helping us to care for Isabella and to manage her rare genetic condition, Diamond Blackfan Anemia (DBA). DBA is a blood disorder that affects the ability of the bone marrow to produce red blood cells. It is often associated with physical abnormalities, skeletal growth and developmental issues, suppressed immune responses, anemia, fatigue, and lifelong risk of bone marrow conditions and cancer. including palate repair and throat reconstruction. For the first decade of Isabella’s life, Seattle Children’s Hospital was our second home. she eventually learned to eat, walk, and talk. She even learned to swim through their adaptive swim program. At the age of 12, as a result of the bone formation issues common with DBA, Isabella was diagnosed with Scheuermann's disease, a spinal deformity causing pain and asymetrical spinal growth. Again, it was Seattle Children’s Hospital that led the way in treating her condition. With their intensive bracing program, she was able to avoid spinal fusion surgery. At age 17, because of her compromised immune system, Isabella contracted viral meningitis and was extremely ill for five months. 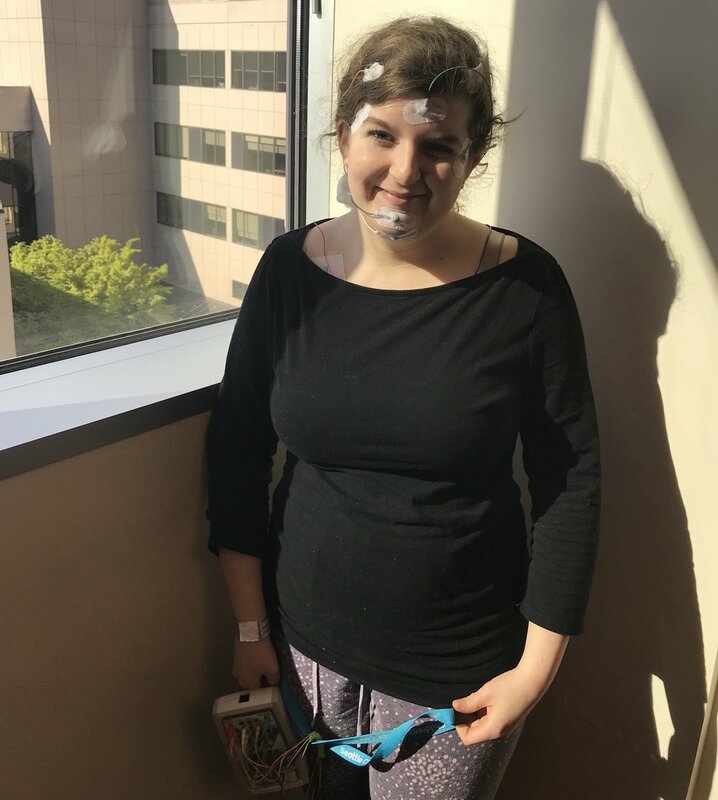 Again, the staff at Seattle Children’s Hospital were invaluable in providing ongoing care and a treatment plan that supported her healing and recovery. Every step of they way, Isabella has received exemplary care at Seattle Children’s. This care not only healed her body, but it was supportive and nurturing to our entire family. We have been extremely fortunate to live in a city with exceptional medical facilities for children. We are equally blessed to have had insurance that covered the bulk of her lifelong medical expenses. we hope to ease a little of the burden for other families with sick children, one bunny at a time. We hope you will love our bunnies as much as we do. They are individually handcrafted with exceptional care, attention to detail, and charming touches aimed at making children happy. They also allow you the opportunity to give twice, knowing that with every purchase you have provided a great service for a family in need. Thank you from the bottom of our hearts for considering purchasing.